The database system for thermal analysis by NETZSCH, called Identify, has now (from Proteus® analysis version 8.0 or higher) already more than 2000 database entries available. 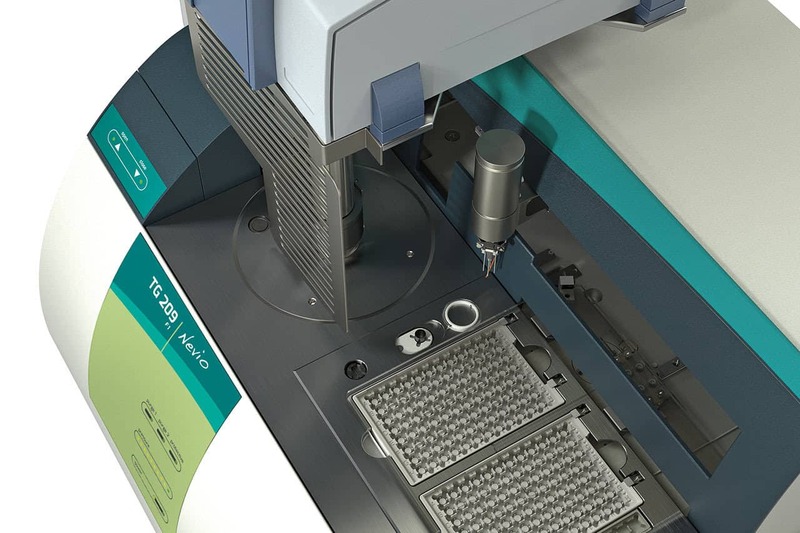 Furthermore, Identify can now be used with combined TGA+DSC, TGA-c-DTA® and STA measurements, which allows for material identification with greater certainty. 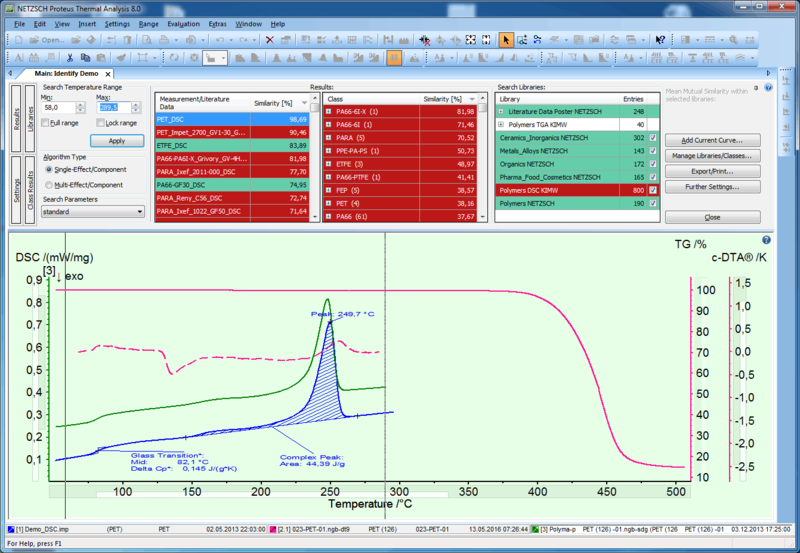 AutoEvaluation by NETZSCH is a very helpful tool for evaluation of thermoanalytical measurements. The entire measurement is evaluated by AutoEvaluation automatically and autonomously (not via pre-defined macro!) – with only one mouse click – and just within a second. AutoEvaluation is available for DSC, TGA and now also for STA measurements. Furthermore, the adaptability of AutoEvaluation is adressed. Drug excipient compatibility ensure that the efficacy of the active ingredient is not affected by the excipients. 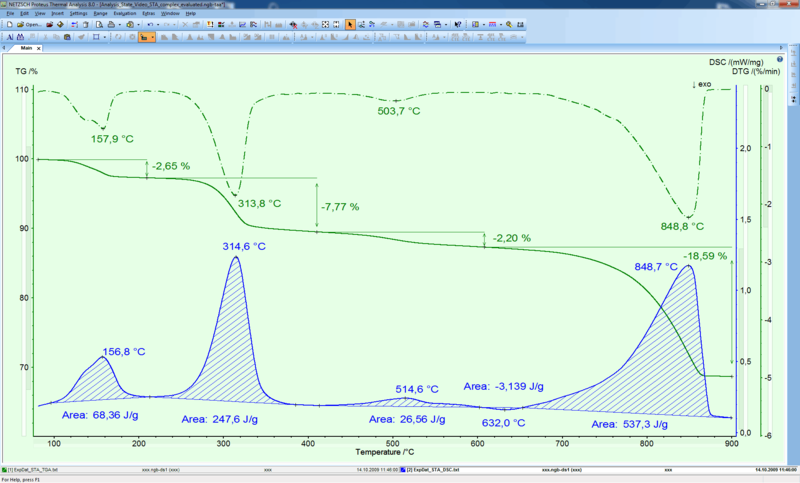 You get first information about compatibility and interaction of components with thermal analysis methods as DSC or TG. Thermal stability of materials measured fast and easy with a thermobalance coupled to a FT-IR System. 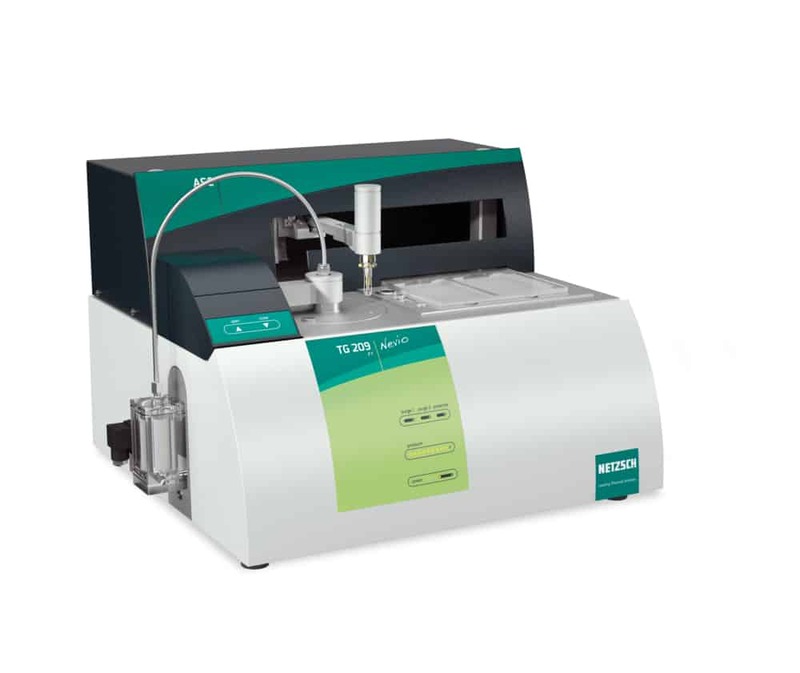 Here, this method is applied to determine the thermal stability of Eudragit® L100-55.